At the Japanese style restaurant Kinobu, in Kyoto, we savoured a summer specialty, the “Hamozushi”. 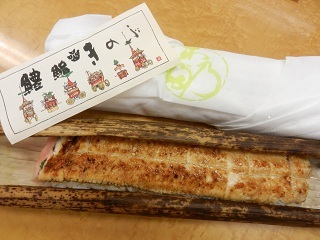 In Kyoto, during the Gyon Festival period, there is a tradition which is to eat eels or other similar long foods in order to gain energy. 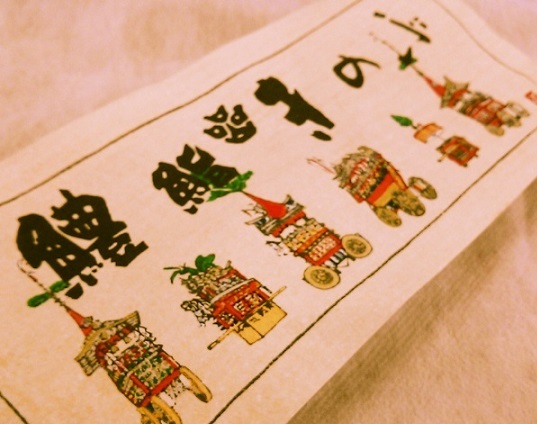 As I opened the package received by the restaurant Kinobu, I discovered the drawing of “Hokos”, which are festival floats mounted with a decorative halberd. All the staff members increased in vitality after having tasted these delicious sushis. We are grateful for having received this summer present until now.